Zarinna Rane Dulnuan of Diamond Bar, a second-year student in the chemical engineering program in the Kate Gleason College of Engineering, made the Dean’s List for the Spring 2013 quarter. Rochester Institute of Technology in New York is internationally recognized for academic leadership in business, computing, engineering, imaging science, liberal arts, sustainability, and fine and applied arts. Are student transportation fees legal? That’s the contentious issue dividing the Rowland Unified School District and the Boosters Club at Nogales High School. Superintendent Ruben Frutos said the district charges a small fee to subsidize transportation to extracurricular events, including sports. Frutos said the fee is $50 a year for the first activity, $25 for a second, $12.50 for a third and free after that. “Nogales High School in Rowland Unified School District is illegally charging students transportation fees and making them buy a ASB card if they are in extracurricular activities. This is illegal according to the education code,” said Booster Tricia Acevez. Read more in Richard Irwin’s story BUS. The Hacienda La Puente Unified School Board approved a $190 million budget for the coming school year early this morning. Revenues are projected to total $178 million, resulting in a $12 million deficit. However, the large district reports an ending balance of $28.5 million this year, which will be used to help balance next year’s budget. There will be no layoffs or furloughs in the district. And programs will continue at their current levels. If the governor signs the new budget, Hacienda La Puente Unified expects to receive an additional $3 million in revenue. It also hopes to use other cost-cutting measures to cut the deficit to $6 million by the end of the next school year. 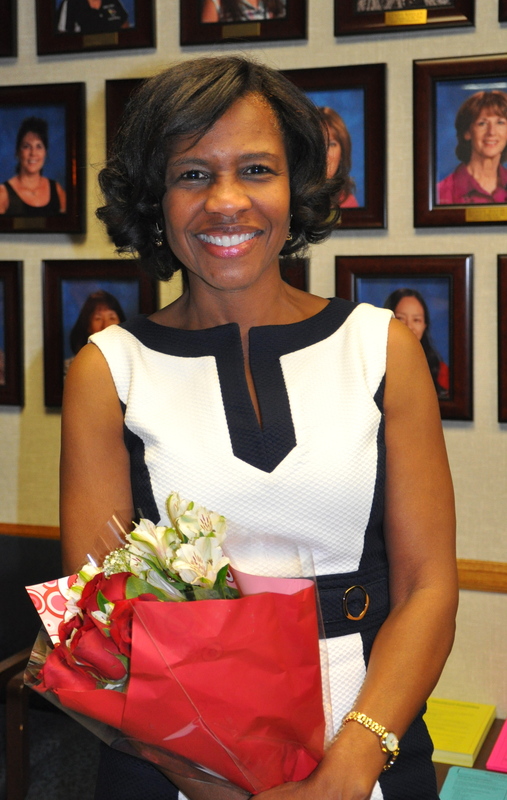 The Walnut Valley Unified School District Board of Trustees has named Donna Hunter the new principal at Cyrus J. Morris Elementary School. She has served as interim principal at the Walnut school since February, replacing An Nguyen, who accepted a position as a LACOE Educational Technology Consultant. Donna brings 15 years of educational experience and leadership to the very school where she began her career. She had served as assistant principal at Suzanne Middle School since 2008. Prior to that, she was a grade level coordinator and summer school assistant principal at Walnut High School from 2001-2008. She served as an elementary counselor at Morris Elementary from 1997 – 1999. Hunter received her Bachelor’s Degree from Pepperdine University and Master’s Degree in Education from Azusa Pacific University. She is currently completing a Doctorate in Educational Leadership at Azusa Pacific University. Jordan Seid of Rowland Heights has earned dean’s list status for the 2013 Spring semester at Lasell College in Newton, Mass. A member of the Class of 2016, Seid is majoring in Exercise Science. He may not mean to, but Bowala Rakkitha stands out among his fellow students at Mt. San Antonio College. He dresses differently, his values are unusual, and he speaks with a distinctive accent. When the Venerable Rakkitha, a Buddhist monk from Sri Lanka, walked at graduation last week during Mt. SAC’s 67th commencement, it was to be yet another leg of a most improbable journey. 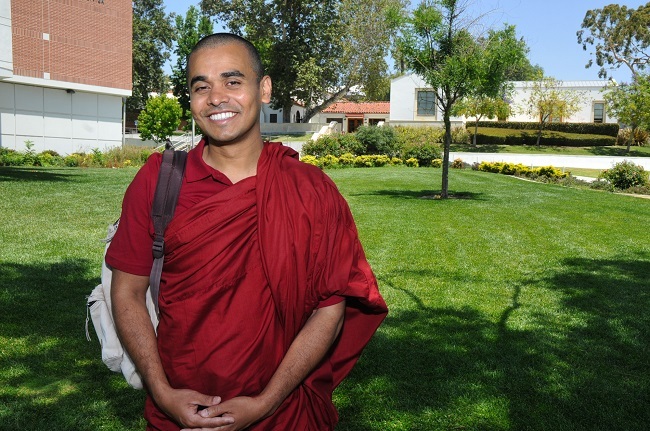 “I never thought I would come to the United States and I never thought I would attend a university here,” said the 37-year-old monk, who is receiving associate degrees in psychology and liberal arts and will transfer to UCLA next fall. During his time as a student at Mt. SAC, Rakkitha has generated a certain amount of curiosity, if not celebrity. The first question is usually related to the most obvious distinction. “Everyone wants to know why I dress like this,” he said, patting down his red robe, his day-to-day attire and more importantly a symbol of the vow he made to live a simple life as monk. Then there are the more curious peers. The keynote speaker tonight at Mt. SAC graduation ceremonies will be Dr. Jack A. Scott, a former legislator, college president and state community college chancellor. The college is at 1100 N. Grand Ave.
Cal Poly Pomona will hold its 57th annual commencement ceremonies today through Sunday for about 5,000 bachelor’s and master’s degree candidates, the university announced. Each of the eight colleges at Cal Poly will hold their own ceremony, all of which will take place in the University Quad, adjacent to the Campus Center Marketplace (Building 97). Tickets are not required. At this year’s commencement, pop music legend Paul Anka and businessman and alumnus Hae Park will be awarded honorary doctorates in recognition of their support and contributions to Cal Poly Pomona. The university is at 3801 W. Temple Ave.
Three public school districts along the 60-Freeway corridor are getting new superintendents this coming school year — Walnut Valley, Rowland and Hacienda La Puente unified school districts. Throw in Rio Hondo College, a community college district with classes in Whittier and El Monte, and that makes four. Is there something in the region that sends public school and community college chiefs running to the golf course? When former Walnut Valley Unified School District Superintendent Dean Conklin was asked that question Monday, he blamed the job’s growing duties and the overwhelming stresses emanating from a state government that has relentlessly sliced away K-12 funding. After only 2 1/2 years at the helm of one of the highest-performing districts in the state, Conklin said he decided to “retire” at age 57. Then he decided he’d take a job as executive director of The Frostig Center and School in Pasadena beginning July 1. Read more in Steve Scauzillo’s story SUPER. 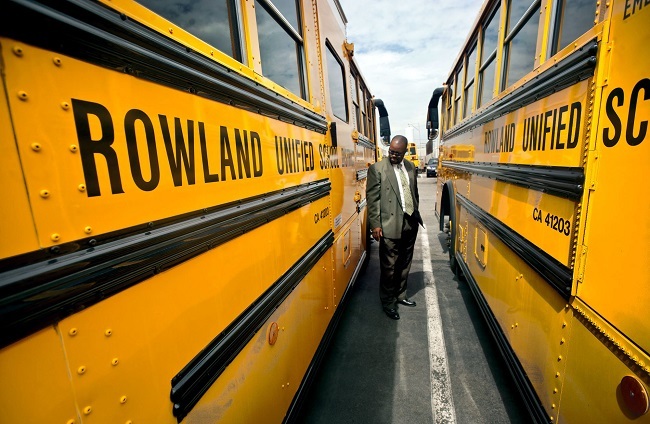 Rowland Unified hopes at least 50 teachers and administrators will retire this summer. In fact, it is offering incentives worth $1 million to entice teachers to put away their books. “It’s good for teachers looking to retire in the next couple years and it’s good for the district financially,” explained Superintendent Ruben Frutos. Interim Chief Business Officer Ajay Mohindra said that the retirement incentive will save the district approximately $2.5 million. Rowland began the incentive program three years ago, when it offered the $20,000 credit or $15,000 cash to 20 educators. Last year, that number rose to 30 teachers and administrators. This year, it has cut out the cash option and is giving two years service credit. While the district loses experienced instructors, it gains young teachers who know the latest instructional strategies and technology becoming part of our classrooms. Read more in Rich Irwin’s RETIRE. 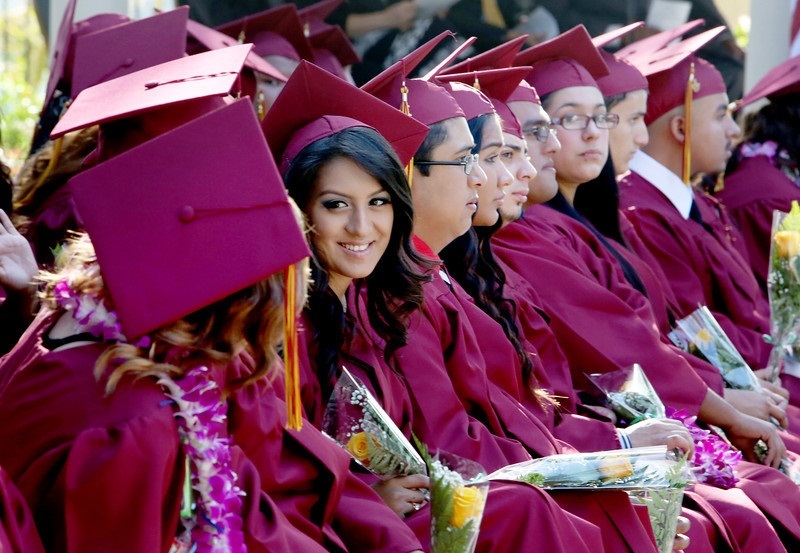 Santana High School celebrated their graduation day at Royal Vista Golf Course in Walnut on June 6, 2013.